In Iss Pyaar Ko Kya Naam Doon Season 3 Chandni gets into a contract with Advay on seeking treasure of temple. 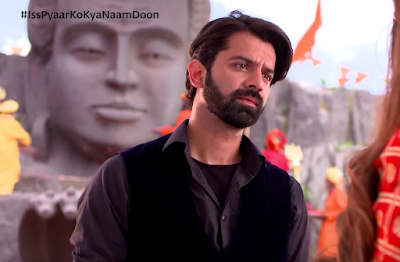 Advay had this misconception that it was Chandni who had deflamed his parents which leaded to Advay's parents death. Now Chandni does know that Advay desires to defame Chandni In the society but does not know the actual reason of doing so. Chandni also is aware that Advay would not let Chandni open the treasure doors of the temple so with no trouble as this would lead to Advay's defeat. Chandni asks Advay that he can defame Chandni In the society and take as much revenge as Advay desires but in return Advay would help Chandni open the treasure doors. What would be Advay's decision upon Chandni's this proposal, will Advay agree to Chandni?